​England manager Gareth Southgate is set to begin planning for life without Harry Kane this summer by watching Callum Hudson-Odoi in action for Chelsea against Liverpool on Sunday. Tottenham forward Kane has been ruled out for the remainder of the domestic season after suffering an ankle injury during the Champions League clash against Manchester City on Tuesday, and could be set to miss out on England's Nations League campaign in June. The striker has been given an outside chance of being fit in time for England's return to action in the summer but, according to the ​Daily Mail, Southgate has already begun to consider his options in the potential absence of his captain, with Hudson-Odoi prominent in his plans. The 18-year-old made his first senior appearances for the Three Lions against Czech Republic and Montenegro after being drafted into Southgate's squad following a blight of injuries to a number of more senior players, and the ​Chelsea star made the most of his chances. 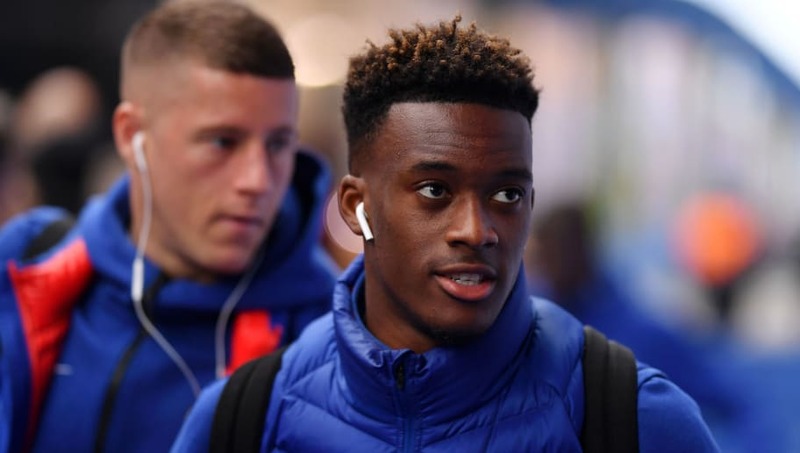 Hudson-Odoi impressed for England last time out, as he made his first start against Montenegro, and the forward could now be in line for more regular senior involvement. It is suggested that the winger had originally been intended to be part of the Under-21 squad which will compete in the European Championships in Italy and San Marino in the summer. However, the possibility that ​Kane could miss out on the Nations League could leave Southgate in need of attacking reinforcements in the senior squad, and Hudson-Odoi seems to have played his way into the Three Lions' boss' options. ​Manchester Untied forward ​Marcus Rashford is likely to take Kane's place as the preferred option to lead the line should the ​Tottenham star fail to recover in time for Nations League action, but Hudson-Odoi's potential involvement would continue his rapid rise to stardom. The winger has struggled to find regular Premier League game time at Chelsea under Maurizio Sarri this term, having made just eight league appearances for the Blues, but he has started in each of their last two domestic clashes. Hudson-Odoi finally seems to have earned Sarri's favour at the business end of the season, and Sunday's clash against ​Liverpool could provide the perfect audition for the rising star to nail down his place in the senior England setup as well.